Are you looking for a collaborative work environment, colleagues who are passionate about energy efficiency, and the opportunity to use your own energy and creativity to make a positive impact on the world? 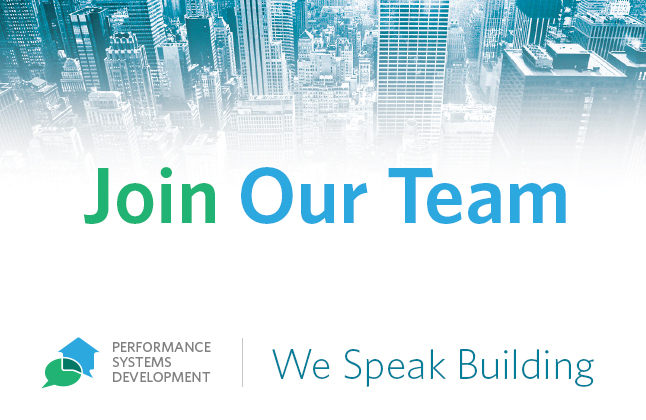 Performance Systems Development is seeking a high-performing Quality Assurance Field Inspectorwith a proven track record of using a consultative approach to successfully conduct residential energy audits, quality assurance reviews, and field inspections to join our team. The QA Field Inspector will work in a dynamic team environment on the Quality Assurance of residential energy efficiency (EE) programs in Pennsylvania, with occasional travel to neighboring states. As a QA Field Inspector for PSD, you will work closely with a group of highly skilled professionals to conduct QA field inspections to the requirements of various utility programs. Inspections will primarily be scheduled during weekdays, but some evening and weekend appointments may be required. Perform comprehensive quality assurance inspections on homes participating in various utility programs. This entails collecting data to include: blower door testing, duct testing, health and safety testing as well as other measurements. Record, process and maintain detailed records of the work performed in the field. Report findings via company’s tracking system. Submit timely data collection files for review by senior staff. Manage time effectively and within project budget constraints. Submit time and expense reports promptly and per client and company requirements. Access scheduling software to download week’s audit/inspection schedule, and report on audit/inspection progress and/or issues during the week. Provide training, technical assistance, and support to auditors and contractors participating in programs while nurturing and developing these business relationships. Coordinate and deliver building science training, classroom instruction, and community outreach to contractors, trade groups, and consumers with varying levels of knowledge. Preferred Requirements: Individuals with a building science background, including energy efficiency certifications (RESNET, BPI); green building certifications (NAHB, LEED); and/or related areas. Experience with residential building modeling software (REM/Rate, TREAT, Manual J, etc.). Experience delivering training or classroom instruction. RESNET Quality Assurance Designee certification, or significant home energy rating experience, as well as Spanish or other language skills, a plus. Physical Demands: Frequent use of the computer requiring periods of sitting and close audio visual concentration. Ability to lift 50 lbs. Ability to walk through houses carrying equipment and crawl through small spaces. Local travel across Pennsylvania and nearby regions on a daily basis; occasional overnight travel required. Work Environment:Field work is performed both outside and inside of buildings in varying weather conditions. Field work will include accessing attics, basements, crawlspaces, and other locations associated within the built environment. Office work is performed in an open and collaborative environment. Salary:Competitive salary; commensurate with education, qualifications, and experience. Benefits:Health Insurance, 401K savings plan, Life Insurance, Long Term Disability Insurance, Flexible Spending Accounts, Paid Holidays, and a generous Paid Benefit Time program. Please submit the form below to apply for this position. Candidates interested in staff positions only; no recruiters, 3rd party agencies, or outsourcing firms. About PSD: We are nationally recognized for our work in the building science and energy efficiency (EE) industries. We focus on the development and delivery of creative and powerful solutions for energy efficiency programs and professionals. Our company provides a whole-systems approach to EE strategies through our work on advancing energy policies, designing and delivering cost-effective EE programs, and building software tools to improve data tracking. Please fill in the form below to apply for a job at Performance Systems Development. If the job was not listed above, please enter which job you’re applying for here. Please upload your cover letter here. Only PDF formats are accepted. Please upload your resume here. Only PDF formats are accepted. This isn’t a required field, but if you have any comments or questions about the position, you may include them here.